Mix all dry ingredience and scrape out the pulp of the vanilla beans, add the soft butter and mix it up to a dough. Place it into the refridgerator for 30 minutes. Roll the dough into balls of about 2 cm in diameter and place the balls on a baking sheet. These biscuits should not turn brown. Let cool them down. Place powdered sugar in a sieve and sprinkle over the cookies. 2. What is it about this cookie that you love? This cookies are really like snowflakes, they melted in your mouth. And they are easy and quick to make! 3. Please share a story or memory to go along with the cookie. From the sixth to the tenth grade, I attended a girls school. This school was still run by nuns at that time and we got besides the normal lessons also household lessons. We had to clean the kitchen, iron the nuns’ handkerchiefs to a perfect square and had regular baking and cooking classes. That was the most fun for me back then. Our teacher’s name was ‘Sister Magdalena’, but her nickname since student generations was’ Schnüff’ -‘Sniff ‘. Not without reason, because she smelled all our mistakes immediately and that were many. Especially when something started to burn, when something disappeared from the pantry, when salt was mixed instead of sugar, when the amount of biscuit had shrunk because the burnt were secretly hidden, or because we could not wait to taste it. She came immediately behind it. So we were always a little bit scared of her, even though she always scolded a little with us, and then it was forgotten again. We always wondered how she came after our misdeeds, but today I would say it was her experience with us students. I still have all the recipes we had to write down neatly one of them are the Snowflakes. 4. What are your social media sites? Starting in late summer, the anticipation begins to build as we anxiously await for the opening season kickoff of our favorite National Football League (NFL) team. The different teams of the (NFL) belong to two different conferences, The National Football Conference (NFC) and The American Football Conference (AFC). All season long, the teams battle it out to see if the NFC Champions or the AFC Champions will reign supreme in the ultimate showdown, The Big Game. This game is the most watched television broadcast of the year and is now considered by some an unofficial American national holiday. Big Game Sunday is the second-largest day for U.S. food consumption, after Thanksgiving Day. This annual sporting event celebrates football, food and fun. Some of our team members at Christmas In July share their game day recipes for celebrating the Big Game in style. Mix the sour cream, bacon bits, cheddar cheese and ranch seasoning mix. Let it chill and serve with crackers. My family always does cheese,meats and such. One of our favorites is a Baked Brie! Bake for 35-40 minutes and you have ooey gooey Goodness! Here is a really good super easy buffalo chicken dip! Stir together all ingredients until well-combined in crock pot. Cook on low for 1½ hours or until cheese is melted and dip starts to bubble on edges. Stir occasionally to ensure even cooking. Serve with tostitos! We spent the months of November and December sharing holiday recipes during the first Christmas In July Cookie Exchange! 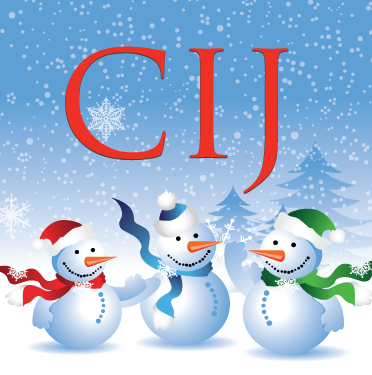 Since the CIJ team is worldwide we held a virtual #CIJCookieExchange right here on our blog! The Cookie Exchange began on Wednesday – November 19th, 2014 and concluded on Tuesday – December 23rd. As I mentioned the team is international and we received recipes from many countries! We wanted to include as many of our talented team members as possible! The participation was fantastic! Our team members are creative bakers! Each team member shared with us their recipe, as well as a little bit about their memories of holiday baking. I personally made a few of these new recipes this season! I added them to the assortment I bake each year! Please join me as we conclude the #CIJCookieExchange! A special thank you to the blog contributors who were the hosts of the Cookie Exchange! Please use #CIJCookieExchange on social media as you visit all the delicious recipes we shared with you! Thank you so much for joining us on our #CIJCookieExchange!